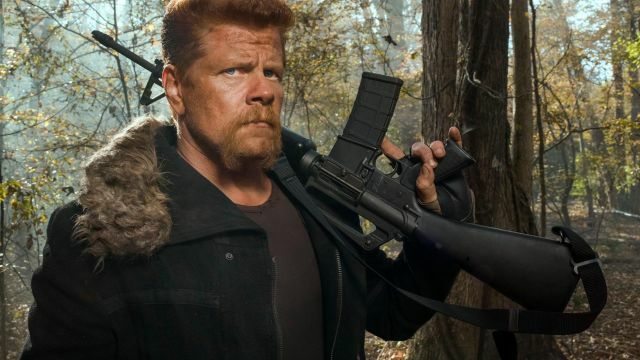 Michael Cudlitz Will Direct an Episode of The Walking Dead! Michael Cudlitz is coming back to The Walking Dead, though not in the way fans might expect. The actor will be returning to the show’s zombified American wasteland to direct an episode of the current season. Cudlitz began portraying Sergeant Abraham Ford midway through season four. He was an instant hit with fans thanks to his gruff, militaristic demeanor and hysterical one-liners. The character traveled with Rick Grimes’ group until he was savagely bludgeoned to death by Negan in the seventh season premiere. However, he did briefly show up in a flashback appearance in the season 7 finale. Cudlitz will be directing an episode titled “Stradivarius,” which is set to air on November 18. In an interview with The Wrap, he described the experience as “the best of both worlds” and teased his upcoming work on the show. It’s still one month away, but it sounds like his episode will have far-reaching effects on the new status quo. Cudlitz recently began starring on the new ABC sitcom The Kids Are Alright. Are you excited for the actor to return to The Walking Dead in a behind-the-scenes capacity? Tell us what you think in the comment section below!